Jay has been hunting locally and internationally since childhood. His passion for the outdoors has taken him to all corners of the Earth on hunting and fishing adventures. He has been fortunate to have been nominated for over 250 trophies in the record books and received the SCI World Hunting Award Ring. 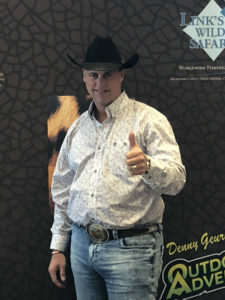 He is proud to say he is a Hunter Legacy 100 Member, life member of SCI, NRA, OVIS/Grand Slam, Wild Sheep, Wisconsin Bear Hunters, Boone & Crocket, National Trappers, Whitetails Unlimited, AOPHA, Seaplane Pilots, and Rocky Mountain Elk Foundation. Jay and his team have the boots-on-the-ground experience needed to ensure that our clients are going on the finest hunting and fishing adventures available today. Link’s Wild Safaris was founded with the intent of sharing the outstanding outdoor opportunities the team has uncovered. We are looking forward to making your hunting and fishing dreams a reality. Tommy began life in Superior Wisconsin and was raised in Wascott WI. As the son of resort owners, he enjoyed the plentiful hunting, fishing and outdoor lifestyle that Northern Wisconsin offered. Tommy attended and graduated Northwood High School in 1992. Tommy joined the United States Navy in August of 1992. Tommy’s duty stations are as follows: USS Forrestal (CV-59), Helicopter Combat Support Squadron Six (HC-6), USS Nassau (LHA-4), Fighter Squadron one zero one (VF-101), Naval Support Activity Souda Bay Greece, USS John F. Kennedy (CV-67), Naval Recruiting District Omaha Nebraska, USS Kitty Hawk (CV-63), Patrol Squadron Four (VP-4) and Patrol and Reconnaissance Wing Two. Tommy retired from active duty after 20 years of honorable service with a heavy heart but also with an excitement of starting a new adventure. Tommy joined the Link’s Wild Safaris and Sportsmen’s Headquarters team. Here, Tommy found his new adventure and is honing his skills, building new relationships and working alongside a group of professionals that are second to none. Tommy looks forward to serving you in the future, and is honored to be a part of LWS Team! Michael is originally from Huron, South Dakota and his passion for hunting and fishing started at a young age with having a family farm. He has spent most of his work life enjoying the outdoors. Michael’s love for the outdoors also came when he started playing baseball at a very young age as that continued through his college years attending Dakota Wesleyan University where he graduated with a Bachelors Degree in Marketing. 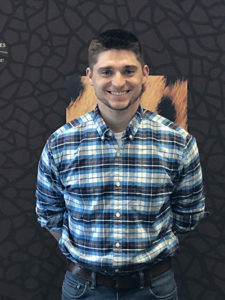 While attending college, Michael spent his summers playing baseball, which brought him to Wisconsin and for two summers he played baseball and began working at Link’s working with livestock. 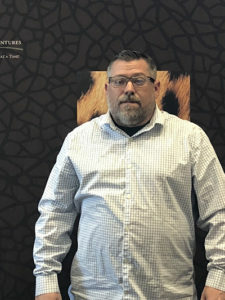 Michael joined Link’s Wild Safaris and Link International Investments with a vast knowledge of how LWS and LII works and runs with the experience of wing-shooting and animal handling. This was a perfect fit with marketing skills and hunting knowledge which makes it a win/win for both.